In the Mormon Church, can someone wait until the millennium to repent? In the Book of Mormon it is written that we cannot wait and repent in the Millenium because we will be subject to the same passions and habits we are now. Should we confess a sin to our bishop when we have already repented and felt forgiven? Mormonism teaches that it may be known that a person has repented of his sins if he will confess them and forsake them. If a Mormon has forsaken sins and felt forgiven of the Lord, then His representative, the bishop, should not be a source of fear when approached for confession. 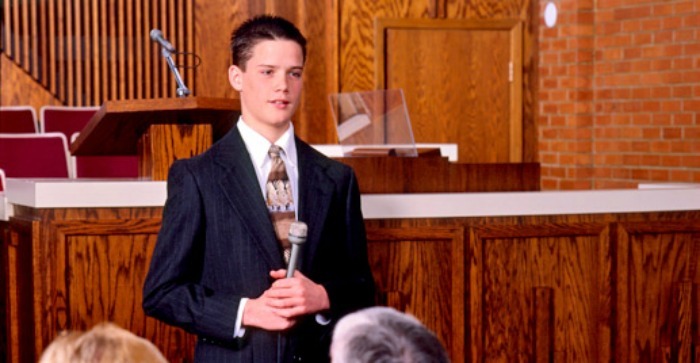 Can Mormons be forgiven of sins by bearing their testimonies? It is an untrue notion in the minds of some Mormons that bearing testimony, or reaffirming the knowledge that Jesus is the Christ, will provide forgiveness for sins. Only true repentance, not bearing testimony or even making public confessions, will bring on forgiveness.